Circumvallate papillae (CP) can be defined as vallate papillae or v shaped papillae that are located on the backside of tongue. These dome shaped papillae are present in variable number that ranges from 8-12. They are present in the form of rows with upward projection of about 1-2mm in length. The roots of these papillae are connected with inner layers of skin. The papilla is formed like a truncated cone, the little end is connected with tongue in downward direction while longer part is connected with some other smaller papillae in upward direction and are surrounded by stratified squamous epithelium.There are four types of papillae. Enlarged circumvallate papillae are basically swollen papillae that become enlarged due to some kind of inflammatory reaction. There number of reason of enlarged circumvallate papillae for example viral infection, exaggerated immune response, allergic reactions, Scarring of the tissue etc. However, in most instances there is no pathological cause for the enlargement of these circumvallate papillae. Viral infections like herpes viruses are commonly target the mucous membrane of oral cavity and may spread to tissues of tongue. Such kind of viral infection are responsible for enlarged circumvallate papillae due to inflammation of papillae. In this these enlarged circumvallate papillae become normal upon taking broad spectrum anti-viral drugs like acyclovir. Smoking is one the most common cause of enlarged circumvallate papillae because during smoking you are inhaling around 100 types of chemicals produce from tobacco. These may injurious to body internal tissues as well as papillae of tongue. So, excessive smoking should be avoided in such cases. Allergy of circumvallate papillae is not so common but it may be the cause for their enlargement due to accumulation of antibodies around these papillae. It is difficult to identify the root cause of these allergic reactions because they may be idiopathic in nature. High grade fever is another possible reason for enlarged circumvallate papillae due to extremely increased temperature of the body like in case of gastroenteritis, typhoid fever, meningitis etc. 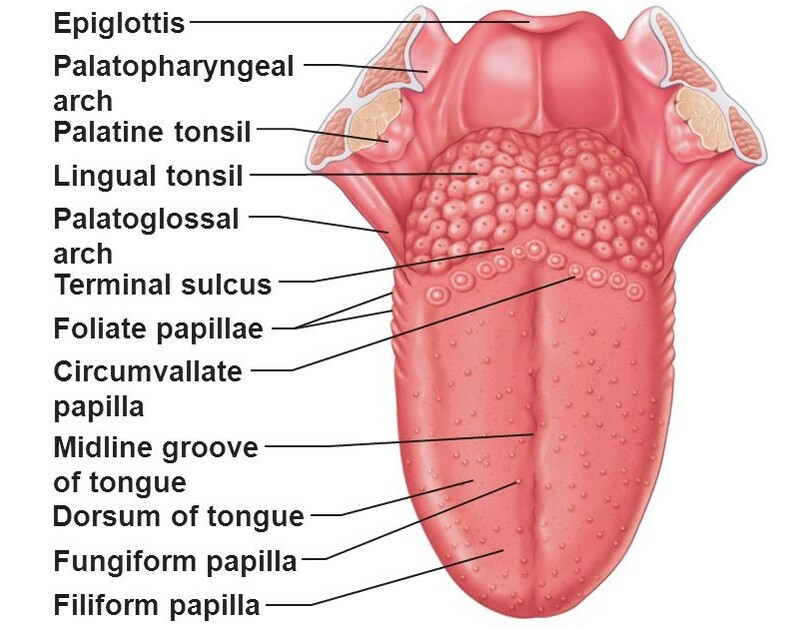 Tongue tissues are highly sensitive to thermal injury.Drinking any liquid that is too hot may be the reason of enlarged circumvallate papillae along with damage of deep layers of tongue. Vitamins and mineral are very important for proper tissues development. Vitamin C is water soluble vitamin that plays key role in collagen synthesis which is primary constituent in membranes complexion process. Avoid drinking liquids that are too hot or cold or having stinging taste. It helps to restore normal circumvallate papillae and decrease pain sensation. Avoid excessive smoking because it causes tongue skin discoloration and injury to superficial layers of skin. In case of infection like herpes infection use some broad spectrum antiviral drugs to reduce the severity and further complications. Always take care of your oral health hygiene like using some broad spectrum disinfectant mouthwash containing chlorhexidene gluconate or menthol. Nutritional deficiency can be corrected through diet like drinking some citrus fruit juices is very beneficial in vitamin C or ascorbic acid deficiency. Avoid from those habits that may cause direct injury to oral mucous membranes like nail biting, squeezing something in mouth that is too hard or tongue piercing. Make periodic visits to your health care provider for routine examinations. Enlarged circumvallate papillae may turn into cancerous form if it grows enough to get involved with lymph nodes of that region. 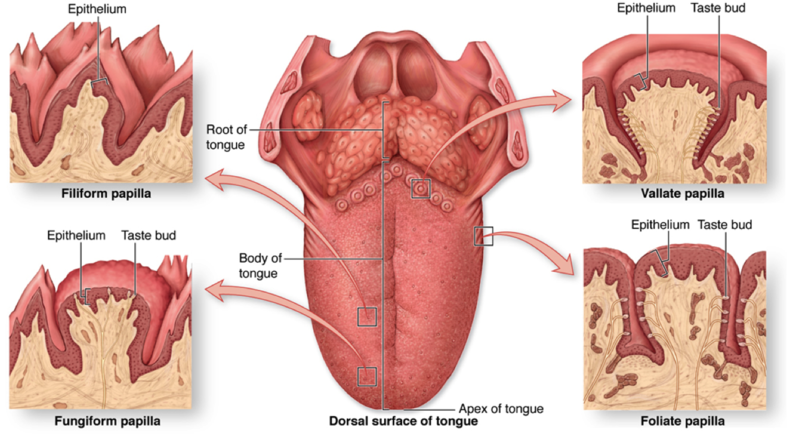 These type of cancers mostly develop around the margins of tongue. Initially they look like small lumps or ulcers spreading aggressively on skin surface. After certain time these lumps turn into cancerous mass that becomes difficult to treat them. Best way to avoid such condition is taking good care of oral cavity and regular visits to your dentist for routine check-up.